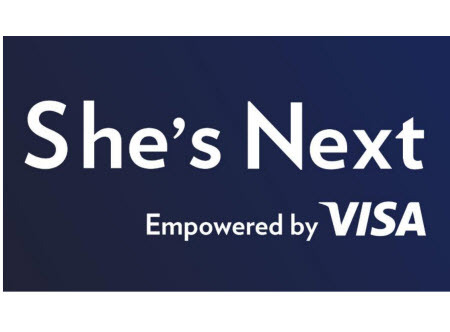 Visa launched a campaign to support small-business owners with the She’s Next campaign, which will champion and empower women in their entrepreneurial efforts to grow their businesses, and it released some findings showing what’s on the minds of female entrepreneurs. The campaign is getting support from leading small business advocates, including Square and Yelp, and is supported by the Female Founder Collective (FFC). Interactive Workshops: Beginning with an inaugural event in Atlanta on January 30, alongside Super Bowl LIII in Atlanta, Visa will host a series of interactive workshops to tackle business challenges specific to each community. Future events are planned for the FIFA Women’s World Cup France 2019 and beyond. The top three things women cite as motivators in starting their own businesses are: pursuing their passion (48%), having financial independence (43%) and having flexibility (41%). Nearly three quarters of women (73%) report that it was difficult to obtain the funding they needed to start their own business. In fact, six in ten (61%) self-funded their business. When asked to identify top workshop topics they would like to learn more about, respondents said improved social media and digital marketing skills to promote and grow their businesses. In 2019, Visa will launch phase two of its multi-million dollar Money is Changing marketing campaign in the US, building on its millennial women focus and featuring real-life female business owners. Visa will feature a diverse spectrum of women in the campaign who will highlight the practical steps they have personally taken to change the game and challenge existing taboos when it comes to money. Visa has also supported programs focusing on small businesses including Visa’s sponsorship of the Great British High Street program in the United Kingdom and Visa’s Money is Changing marketing campaign in the US. Do you ever think these programs are really just scams to lure those demographics into a hole they’ll struggle to escape from? Lol, ok, so lets just ignore the hundreds of thousands of women business owners from the past decade. These stupid campaigns have one goal: social manipulation. Virtue signalers like Visa love to ignore the actual facts, meanwhile trying to win brownie points with some false sense of moral high ground. Visa is a multi national conglomerate who leeches off the human race and has done limitless evil to the world, yet we are to applaud them for some lip service to a so called oppressed minority group like women. Visa can rot in the abyss.